Full Tilt agora oferece mesas com blinds até $10 / $20. Mais uma grande sala anunciou uma mudança significativa em seu software visando a “nova economia” do poker. Em sua última atualização, o lobby do software aparece sem as mesas de Stud, Draw e de Mixed Games (jogos mistos), Agora, a sala oferece aos jogadores apenas jogos de Hold’em, Omaha e Omaha H/L. “Estamos removendo os nosebleeds e também as mesas de Stud, Draw e Mixed Games. A nova estrutura apresentará uma oferta mais limpa de jogos e consideramos estas mudanças nos cash games essenciais para o Full Tilt atrair e manter mais jogadores recreativos”, diz a nota do site esclarecendo as mudanças. Além de extinguir as mesas de outras modalidades de poker, as mesas caras do site também fazem parte do passado, assim como as mesas de heads-up. “Também decidimos remover as mesas de heads-up da nossa oferta, e há dois importantes motivos para isso. Primeiro, que estes jogos são usados por uma minoria de jogadores experientes que costumam ter como alvo oponentes ‘mais fracos’, ao invés de aceitarem qualquer desafio. Segundo, os novos jogadores que experimentaram os jogos heads-up o acharam intimidadores e confusos, muitos vezes se perguntando ‘porquê eles não estão jogando um contra o outro?’”. 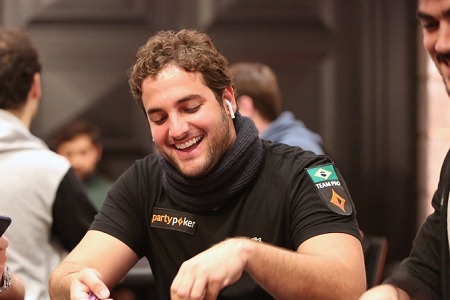 Principal sala dos high stakes online, com jogadores frequentes em suas mesas como Phil Ivey, Viktor Blom e Phil Galfond, entre outros, resta saber se os jogos caros da internet migrarão para outra sala (PokerStars?) ou se a cara ação na internet simplesmente irá morrer, já que os blinds mais caros disponíveis são $10 / $20. Na foto abaixo você confere o novo lobby, já com as outras modalidades de jogos indisponíveis onde costumavam ser apresentadas, e mais abaixo a nota da sala sobre as mudanças na íntegra. “We recently revealed that we are making some big changes at Full Tilt to improve the playing experience by making the game more accessible and exciting. Online gaming has evolved considerably since poker arrived on the scene, and the way in which people play has also changed. Many players that are new to the game can find the traditional online poker ring game lobby unwelcoming, so we’re streamlining the journey, helping people to get into their game smoothly and quickly, wherever they may be playing. 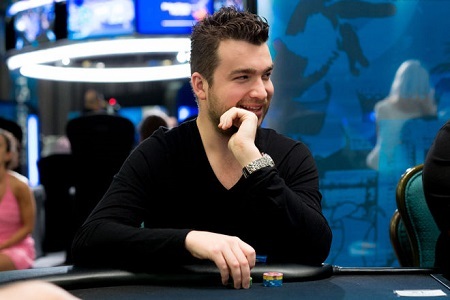 When a player arrives at a live card room, they tell the poker room manager what game they want to play and the poker room manager will take them to a table with a free seat so that they can start playing straight away. 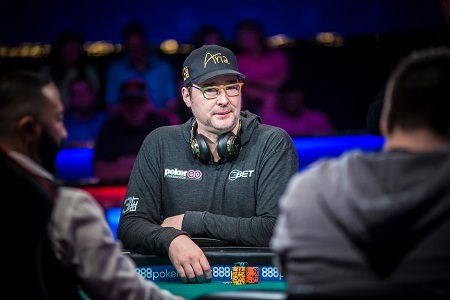 As players join and leave the live card room, the poker room manager brings new people together to create new tables, and moves players from short-handed tables to ensure every player has the best possible experience. Full Tilt is introducing a very similar system for our online play – an online system that will make it as easy as possible for you to load up the software, choose your game, and start playing immediately. 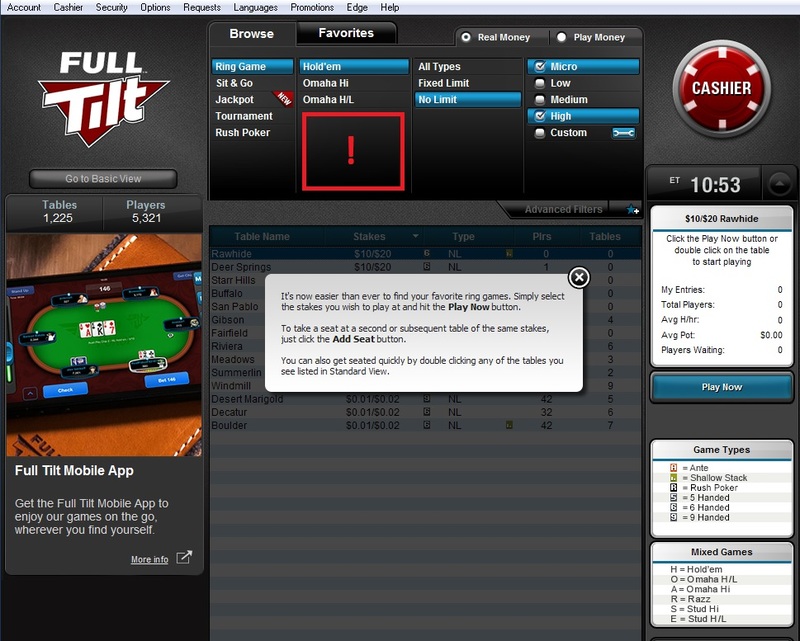 As a player, you can choose your game type and preferred stakes and be instantly seated at a table, getting straight into the action. It keeps things fun, fast and simple. Tables will be merged if and when two or more become shorthanded. This new system will ensure that your success is determined by your talent at the table, not your skill in choosing opponents. In addition to these changes, we’ve decided to remove Heads Up tables from our ring game offering. We’re doing this for two important reasons; firstly, Heads Up games were being adversely impacted by the minority of experienced players who targeted ‘weaker’ opponents rather than take on all challengers, and secondly, new players who tried out the Heads Up games found it intimidating and confusing (asking themselves “why are all these guys not playing each other?”). Unfortunately, these table selection changes didn’t fix this problem so in Heads Up we had no choice but to remove them altogether, as we know the more new players that play it, the less likely they are to return and keep playing. In short, Heads Up ring games just didn’t form part of a healthy poker ecosystem, which made our decision to remove them easier. We are also removing nosebleed stakes, Stud, Draw and Mixed Game ring game tables. 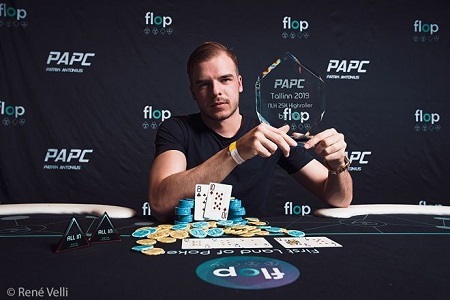 The new structure will present a clean offering for all players and we consider these ring game changes to be key to Full Tilt’s ongoing commitment to provide a level playing field and attracting and retaining more casual poker players. We also recognize that in the past, a proportion of players have used extensive table selection to their advantage and that those players might not like these changes. Their advantage over other players will now be negated and we don’t think that’s a bad thing. Good things happen to those who play and we believe the changes we’re making will see even more good things happening to more players at Full Tilt. Clique aqui e conheça os melhores softwares de poker online.